The US President has accused Google of having a political bias against him. Donald Trump has continued his assault on Google by accusing it of showing political bias against him. Keeping to his typical avenues of debate, the US President shared a video on his Twitter account that blamed the search engine giant for promoting his predecessor Barack Obama's State of the Union addresses but ignoring his. It's not the first time Trump has taken aim at Google, as during a meeting at the Oval Office earlier in the week he claimed that it was "really taking advantage of a lot of people". He also criticised the search engine for trying to hide positive stories about his administration and even "rigging" results to remove those from conservative media outlets. Is the media against Trump? The US President followed this allegation by pledging to address this "very serious" situation, though it's not yet clear how he intends to do so. Indeed Trump went as far as to say that 96% of the Google results for his name were from left-wing media. It's likely that the President is citing a recent news story from PJ Media that went viral. It surveyed the top 100 results for "Trump" to arrive at its conclusion. However, in its list of left-wing media outlets was nearly every mainstream provider, other than the Wall Street Journal, Daily Mail, Fox News and the Economist. Google search results for "Trump News" shows only the viewing/reporting of Fake News Media. In other words, they have it RIGGED, for me & others, so that almost all stories & news is BAD. Fake CNN is prominent. Republican/Conservative & Fair Media is shut out. Illegal? Google has strongly denied claims that it shows any political bias but has always kept the inner workings of its algorithm under wraps. This, it claims, is so news organisations can't find ways to find loopholes in it to get more preferential treatment but it means that the search engine is vulnerable to attacks on its ethics. 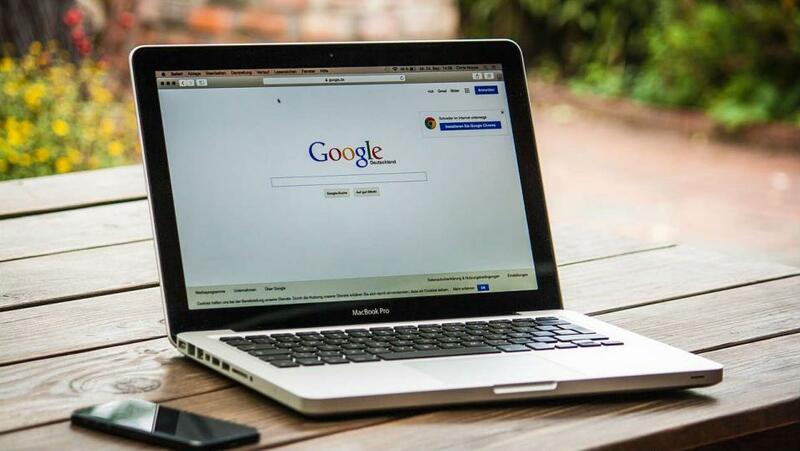 In a statement, Google said: "When users type queries into the Google search bar, our goal is to make sure they receive the most relevant answers in a matter of seconds. Search is not used to set a political agenda and we don't bias our results toward any political ideology. Representatives from Google, as well as Facebook and Twitter, are expected to meet with Congress next week to answer allegations that they hold an anti-conservative bias. It appears as though the President is looking to take his claims of "fake news" to the next level. Just a few weeks ago, he dubbed some media outlets as "enemies" of the American people. This triggered a series of editorials from leading publishers including the New York Post warning Trump about the danger of using such negative language against the free press. Many were concerned it could be the first step towards censorship, while others were worried that it could spark more violent attacks against journalists. Back in June, five media representatives were killed in a shooting at the Capital Gazette newsroom in Maryland and many others have experienced harassment in recent weeks. Whatever issues the US President is having with the mainstream media have gone little way to upset the stock markets, with indexes experiencing new highs. In fact, August as a whole has been a booming month for investors and the Dow Jones even approached its record high of January 2018. The record bull run has given optimism to many investors about the state of play and many believe this will continue, with August being seen as one of the strongest months for US stocks.